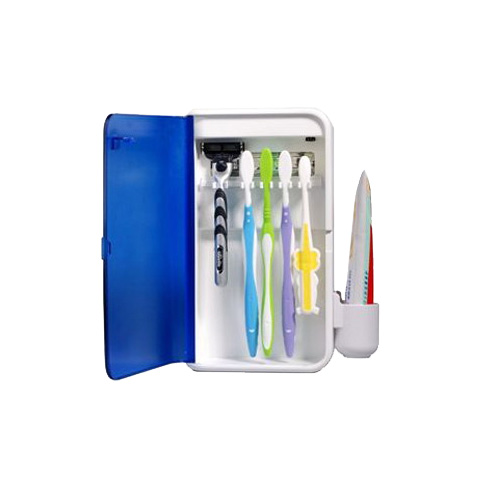 Pursonic's S2 multiple toothbrush sanitizer uses a germicidal UV bulb to kill bacterium left behind on brush heads and can accommodate up to 5 toothbrushes, shaver, or tongue cleaners'. When the door of the sanitizer is closed, it emits ultraviolet light for 5 to 8 minutes, after which the light will automatically stop.' SGS lab tests have demonstrated that the S2 kills 99.9% of germs and bacterium.